Do you rememeber the Jayco Xplo, a bizarre, full off-road concept toy hauler that fortunately never saw the light of day? 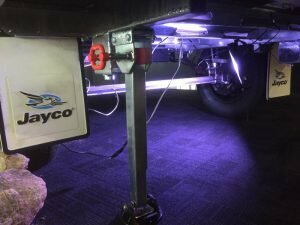 Well, it seems Jayco’s taken a few lessons from it and applied them to the updated, relaunched Work’N’Play range, it’s towable toy-hauler line of caravans. 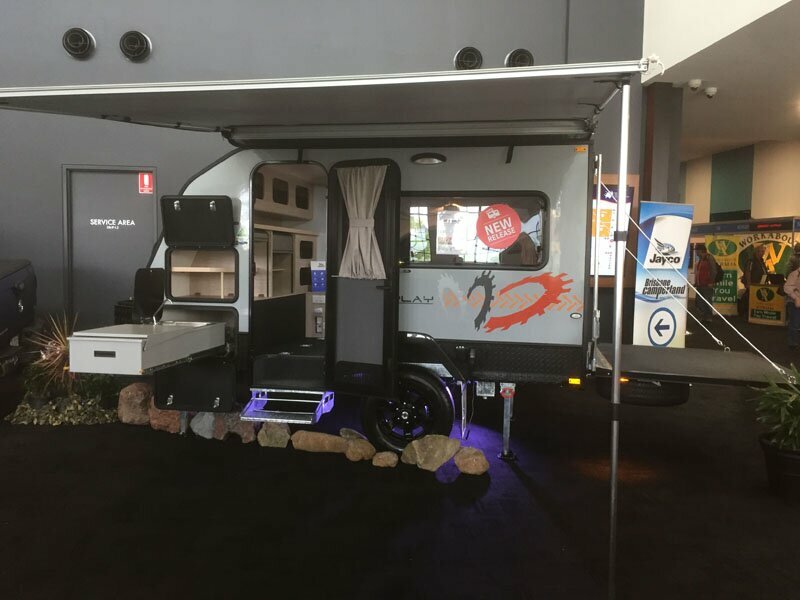 Although there’s three variants on display at the Brisbane Caravan, Camping & Touring Supershow, it’s the little 10-footer that’s the most interesting and capable. Pared back from the Xplo, which was fitted with full off-road, independent suspension, a roll cage and external kitchen, this little one takes a little from other products like the Expanda and J-Pod. 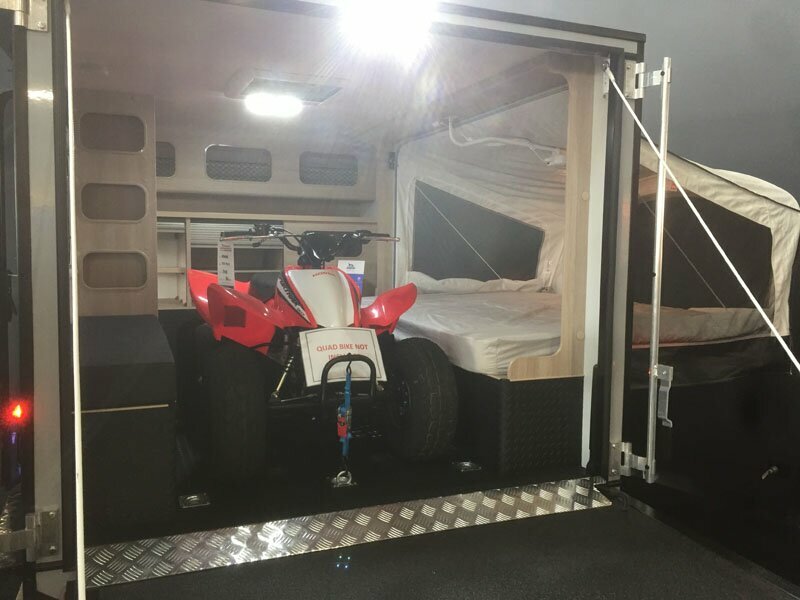 The entire rear wall is a fold-down tail gate and loading ramp which can either be set out as a quasi-balcony or lowered completely to allow a pair of motorbikes or single quad-bike to squeeze into the space between the bed and bench seat. To the front there’s a small door, the main entryway, and an organised storage space. There camper’s bed folds down from the driver’s side wall in a similar way to the Jayco Expandas’ beds fold out from the ends. 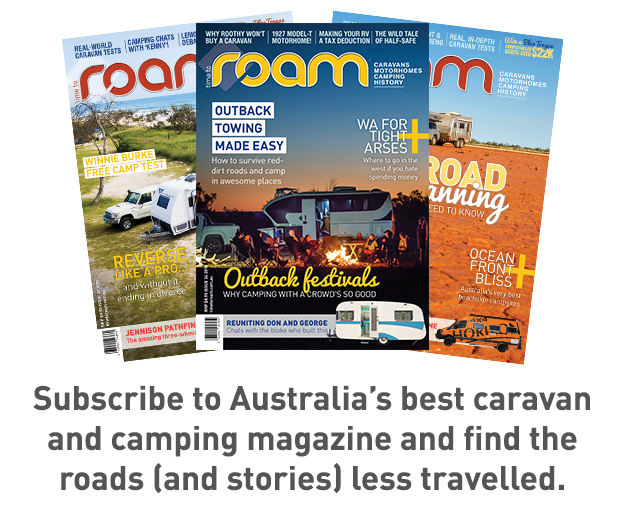 There’s no kitchen, fridge, sink or stove inside – in fact, there’s not really a kitchen at all. It does feature a slide-out bench with sink under the awning, but there’s no stove and no where I could see to conveniently fit a fridge. For this sort of product I suppose it’s not unreasonable to assume the user already has one in or on their four-wheel drive, anyway. The little 10-footer weighs just 1011kg with only 125kg on the ball. 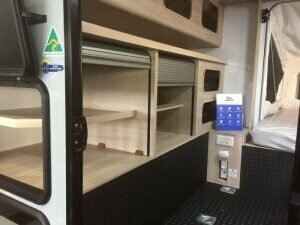 Interior height is just 1511mm, so it’s not designed to be walked around in too often. It’s fitted with alloy wheels, has a leaf-spring suspension and roll-out awning fitted to the roof. 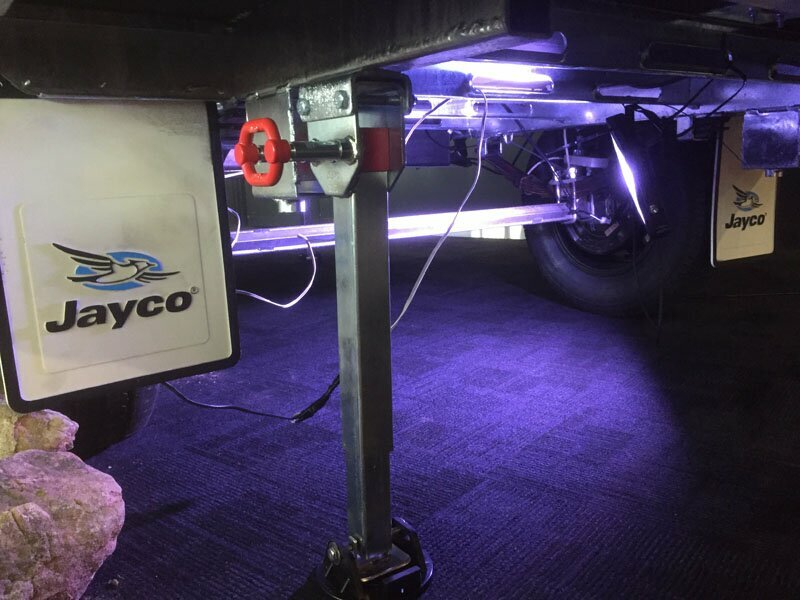 Jayco has it advertised at $29,890, although against such well-priced products like its camper trailer range, which has kitchens and fridges and off-road independent suspension, I find it hard to see the value. 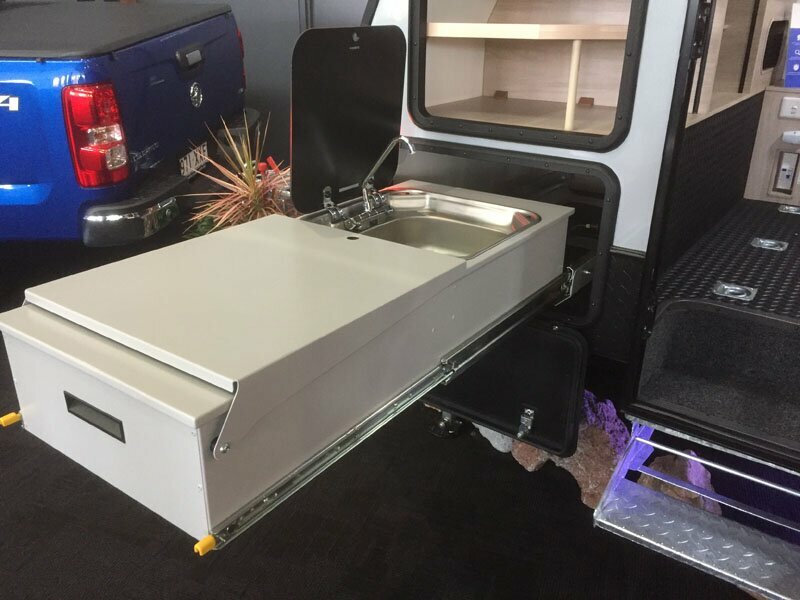 The larger 14 foot version, which adds a kitchen and more internal space is $42, 490 and the 17 foot model which has a basic ensuite, an Expanda style front bed and two single beds is $45,490. What do you think? 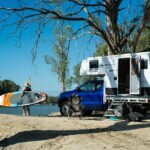 Have you been looking for a compact toy-hauler?